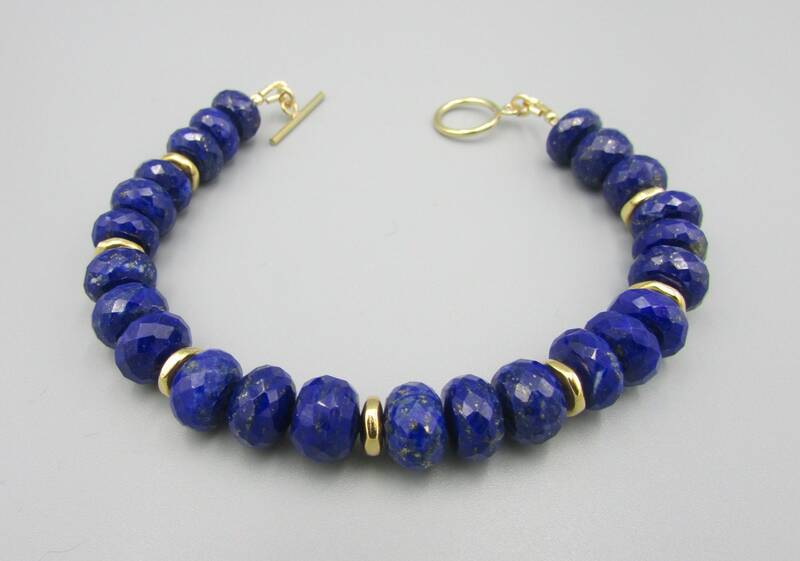 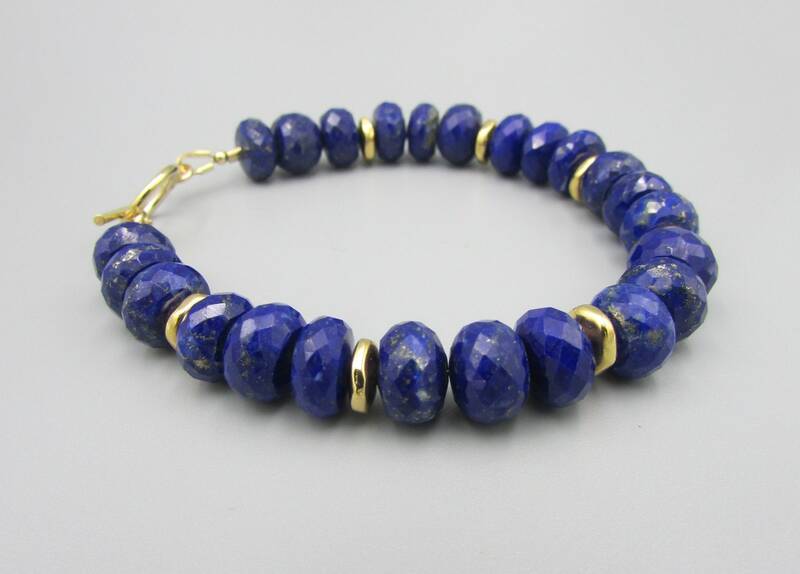 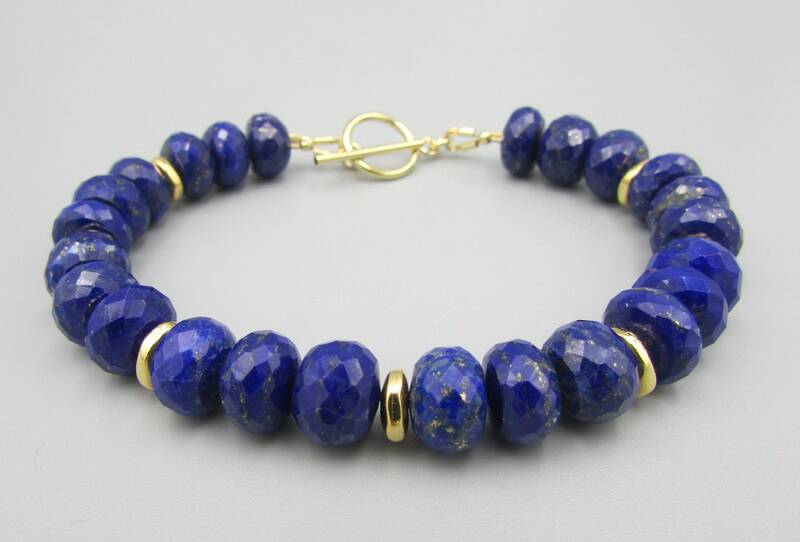 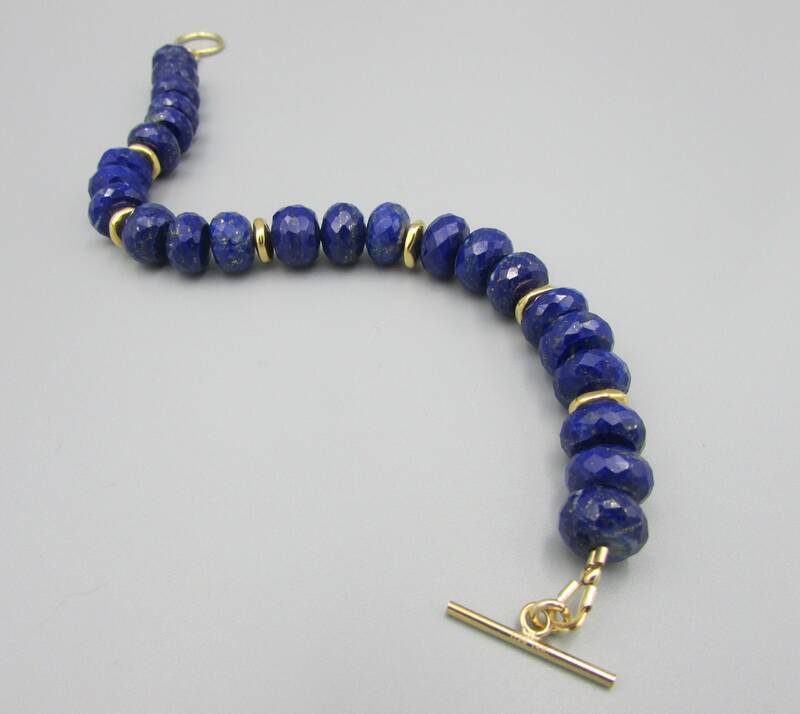 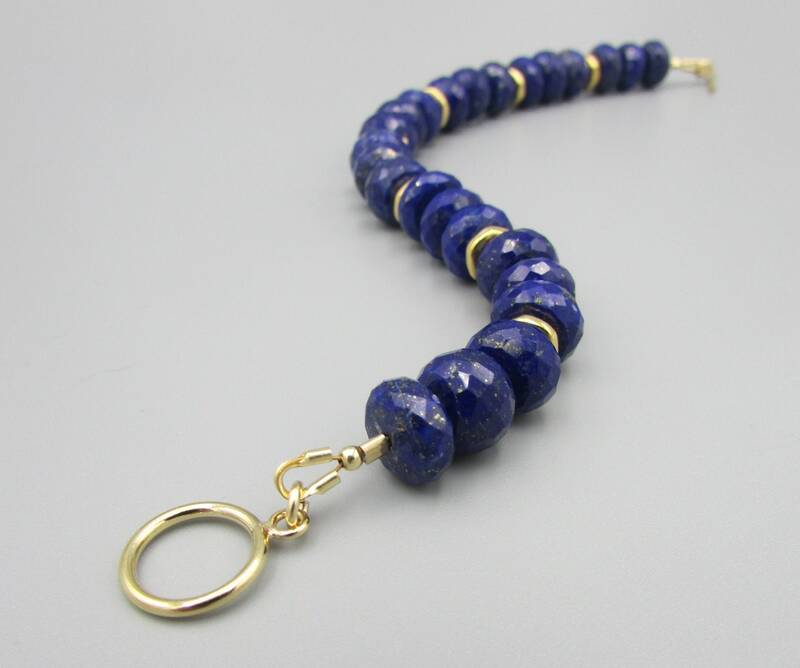 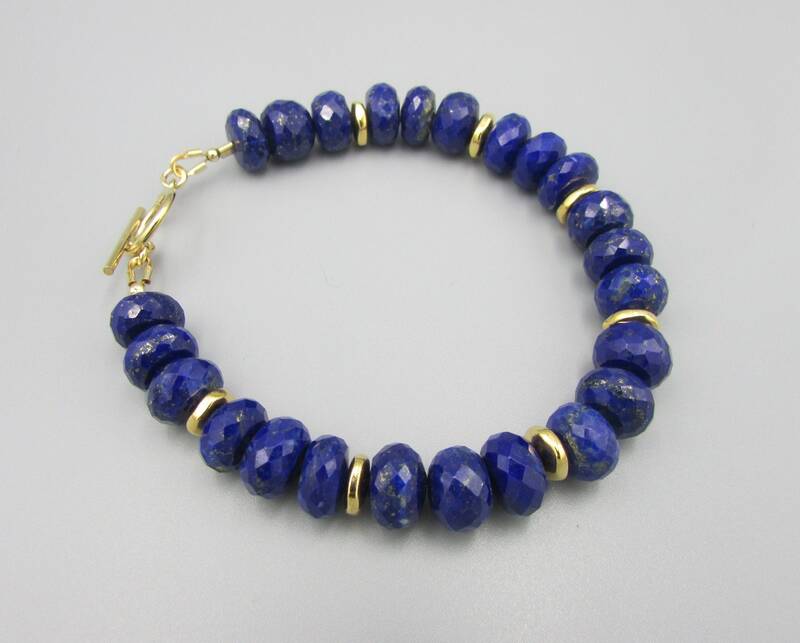 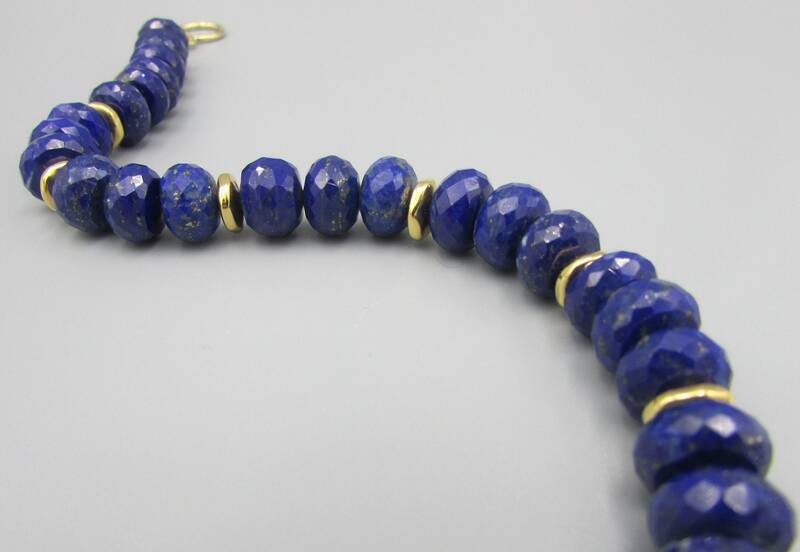 This stunning genuine lapis gemstone bracelet is made with high quality 10mm lapis faceted rondells, gold spacers and finished with a 14K gold filled toggle clasp. 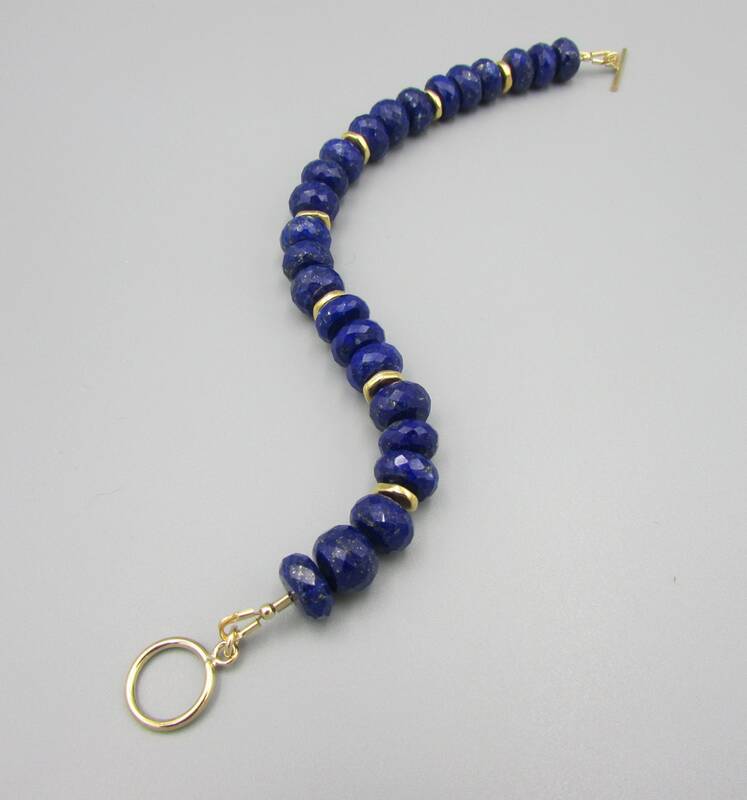 The length is 7 inches long. 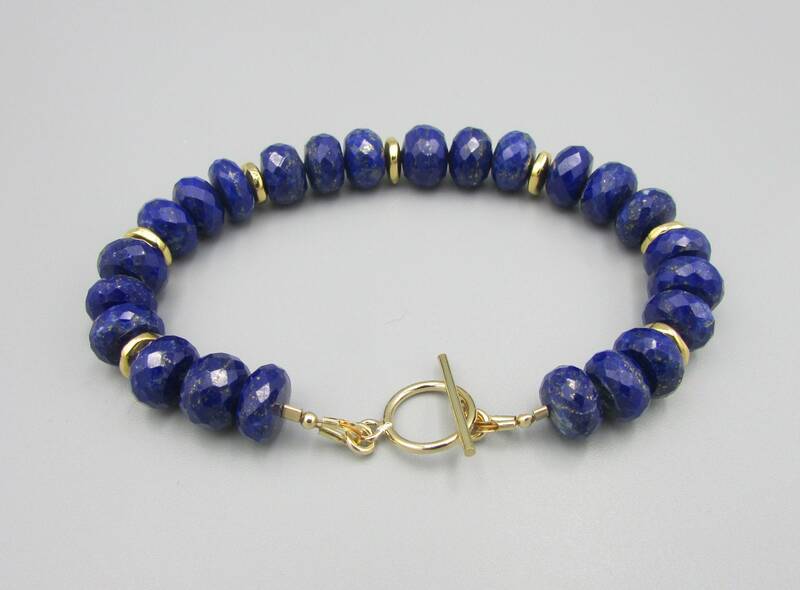 This bracelet is a beautiful choice for that special someone or for yourself. 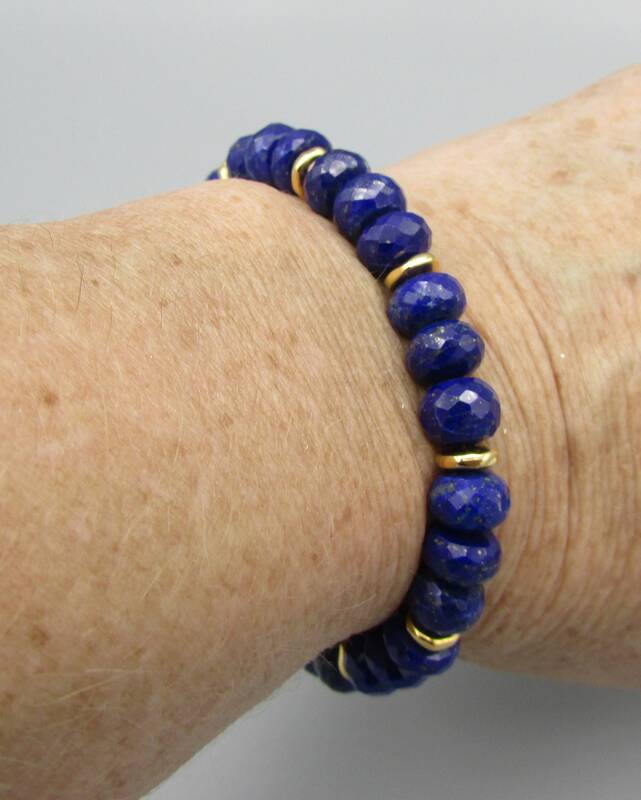 Be ready to get lots of compliments.